For the Love of Gates! ately I have been obsessed with gates. Tall gates, short gates, iron gates, wood gates—I notice them everywhere I go … they seem to be stalking me. 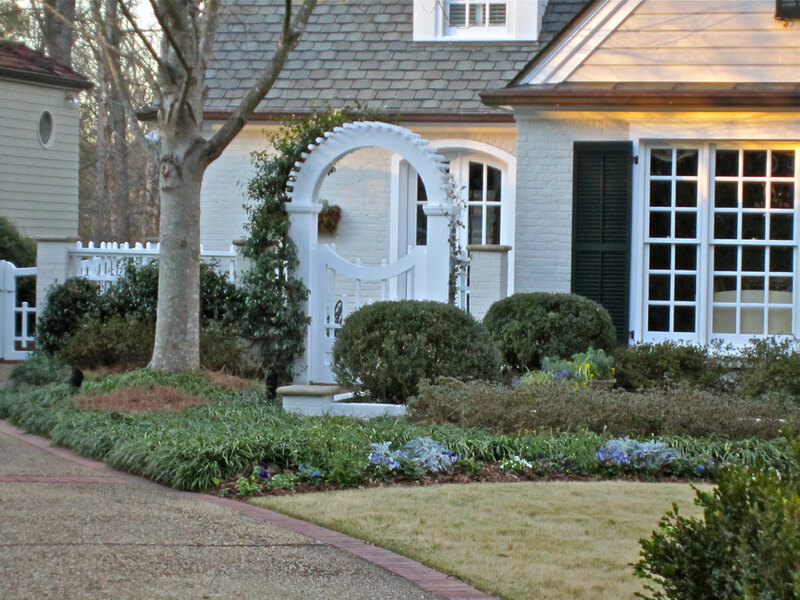 Gates are the first thing guest see when visiting your home. They mark the entry path and seem to say ‘welcome–please come in.’ This is my first post, of what I know will be many, on gates. 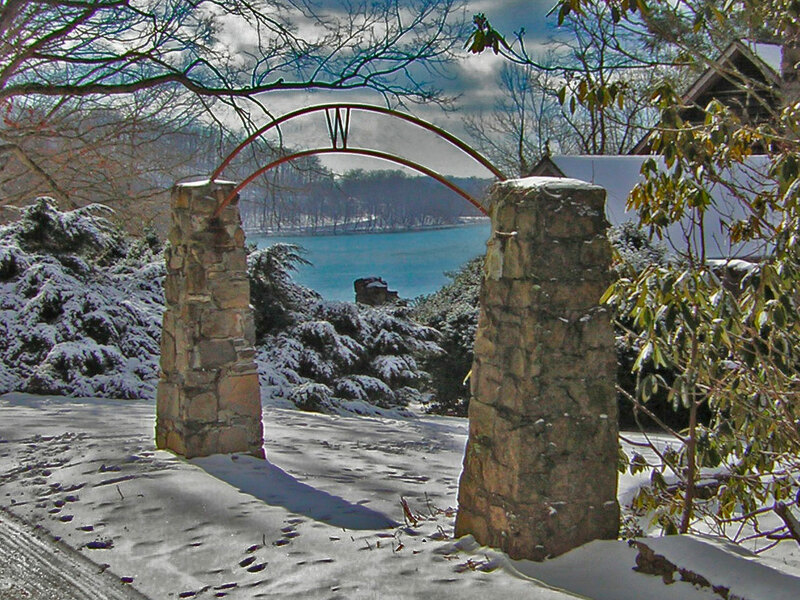 Snowy entry gate in Tate Mountain Georgia–Love! 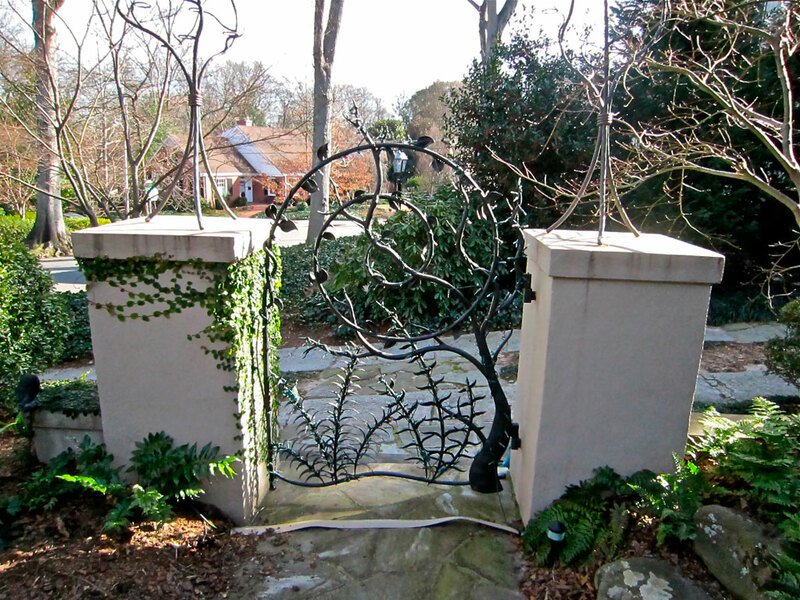 Mountain house gate designed by Rebecca Johnston and fabricated by Bill Durrett–The sun will be returning soon. 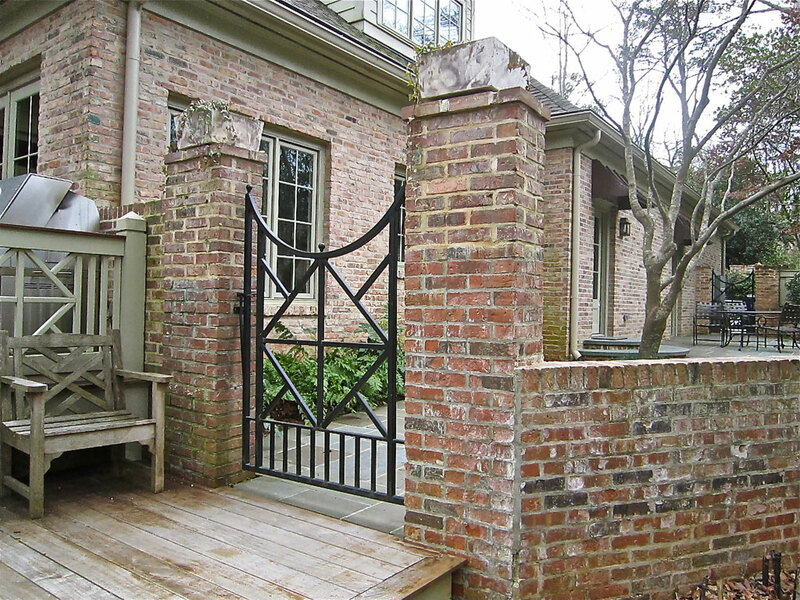 Charleston Style entry and gate–so very welcoming. 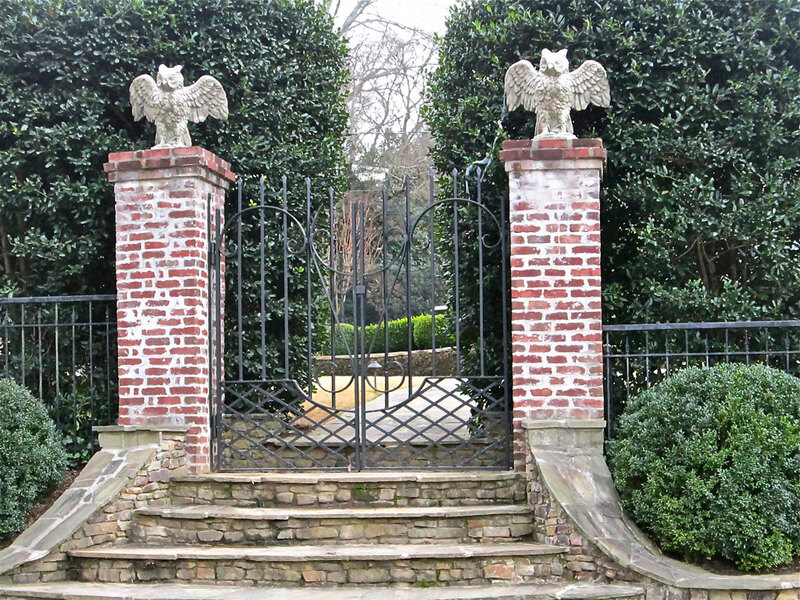 Regal front entry gates–love the 'Good Luck' Owls! 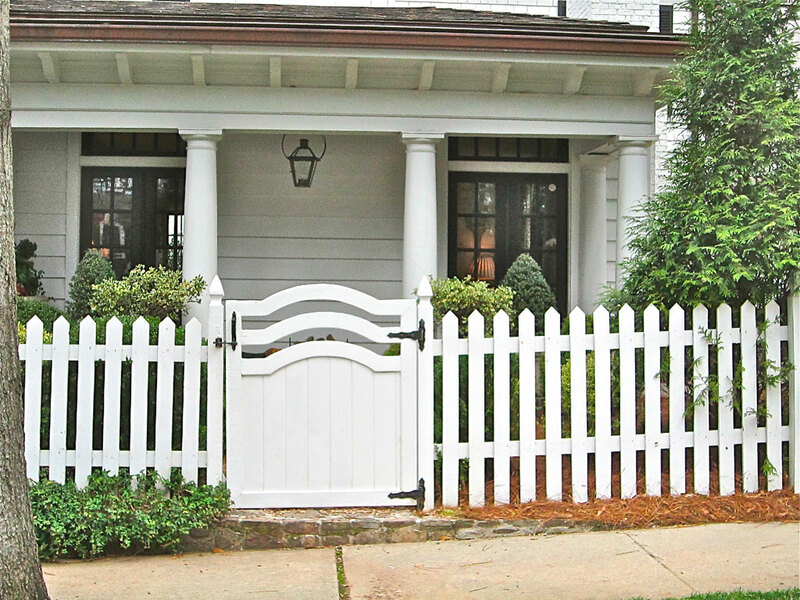 Such a welcoming side gate and fence–invitation please. Welcome home! 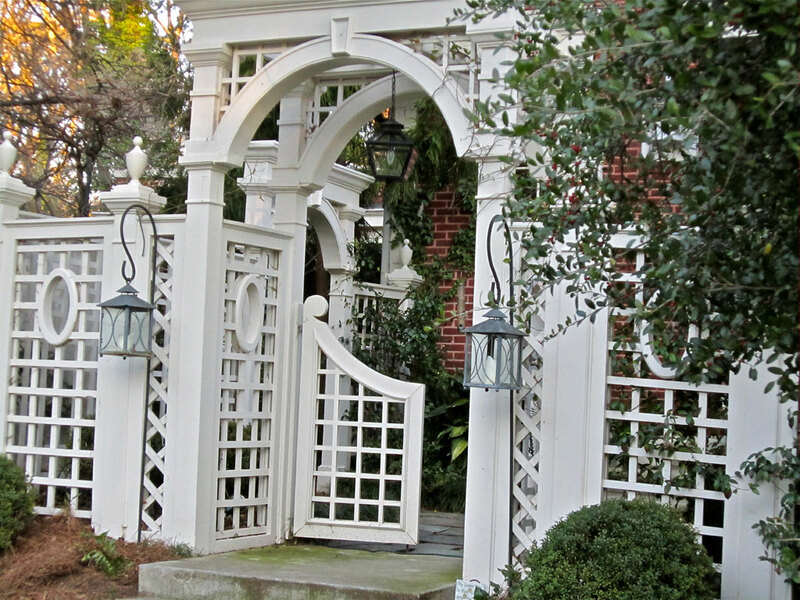 I love this arched arbor and gate. I hope you found a gate that inspires you among these gates, but if not, there will be many more to choose from soon. Have to go–the gates are calling me again. Gates are openings, beginnings, welcomings . . . I love them too, Lissy! Love the pictures! Gates are a fascination for me too I just love them. Mrs. Powers Garden Gate by MacKenzie Childs one of my favorites!!! Lovely pictures. I have a real fetish for gates…particularly old iron ones.